Up until last fall, Sonoma and Napa Valley were synonymous with vineyards and wine country weddings, but these days the Napa fires which burned more than 245,000 acres in Northern California are what jump to most people's minds. 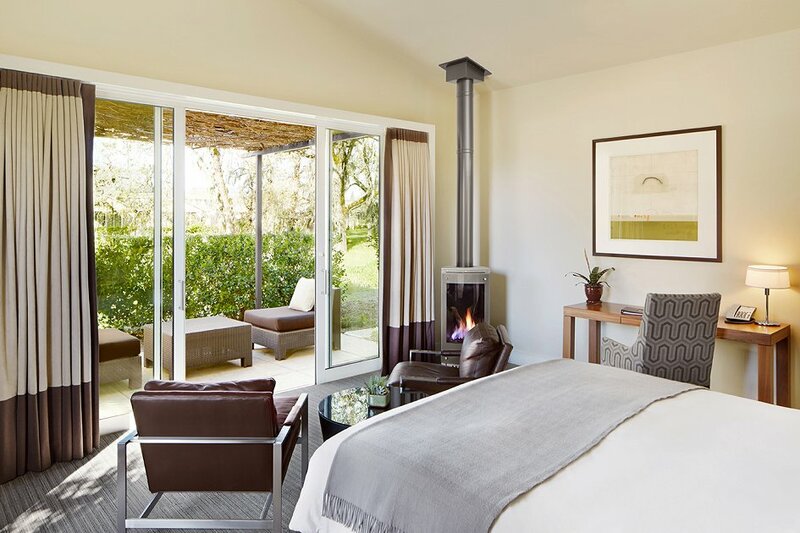 But after our recent visit to Calistoga, we can tell you that it's hard to find any scars from the fires—the restaurants, vineyards, and resorts are thriving and just as beautiful as always. Of course, the top of our agenda was scouting the best destination resorts for everything wedding, from bachelor and bachelorette parties to tying the knot to honeymoon heaven. 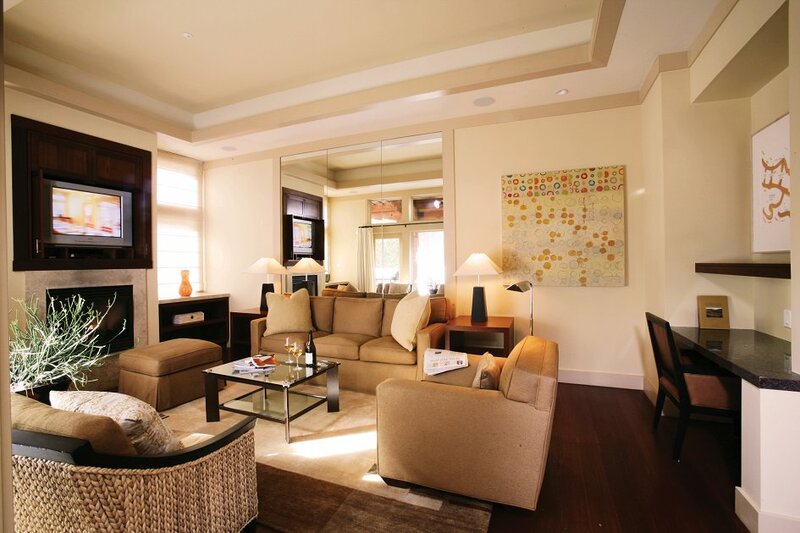 It's really no surprise that two Auberge Resorts landed at the top of our list with their luxe accommodations and incomparable venues. 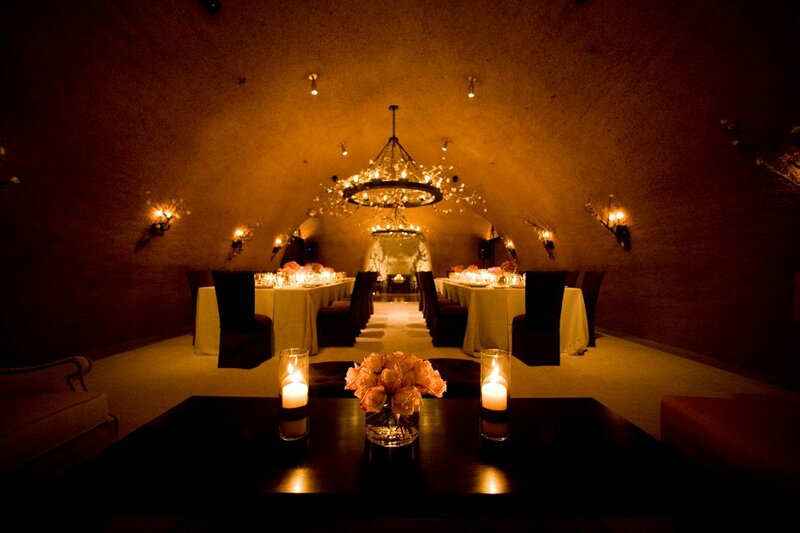 For couples looking to tie the knot with a laidback vibe, Solage offers an ideal blend of relaxed luxury. 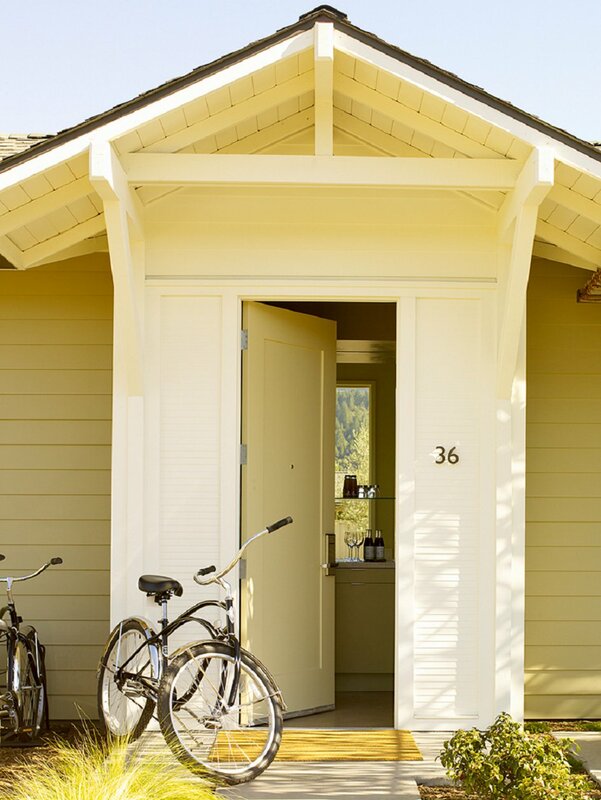 Located just off the Silverado Trail and within walking distance to downtown Calistoga, the modern resort set on 15,000 square feet features white-washed bungalows housing 83 studio rooms and six one-bedroom suites. 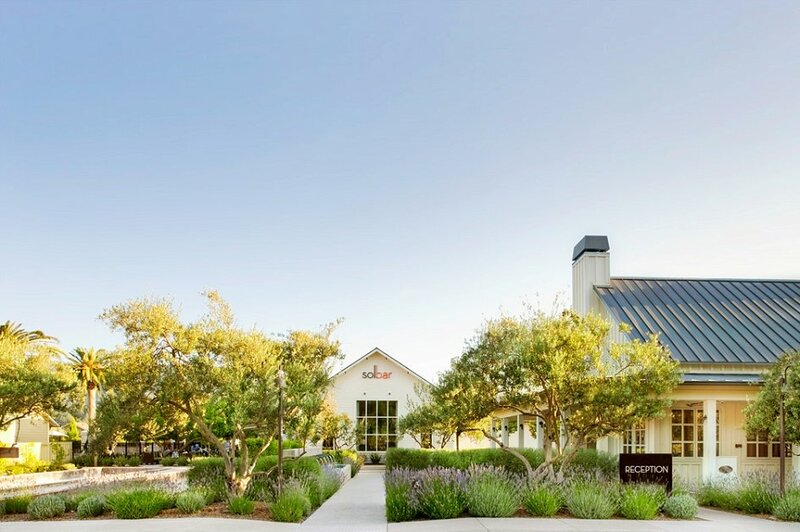 Situated near a plethora of wineries and tasting rooms, Solage Calistoga makes a great home base for a wedding weekend or bachelorette get is a blank slate boasting vaulted ceilings, polished concrete floors. Event flow is seamless as the venue's sliding window walls open to a trellised terrace and event lawn—ideal for ceremonies (up to 400 guests) with beautifully landscaped roses providing the backdrop. 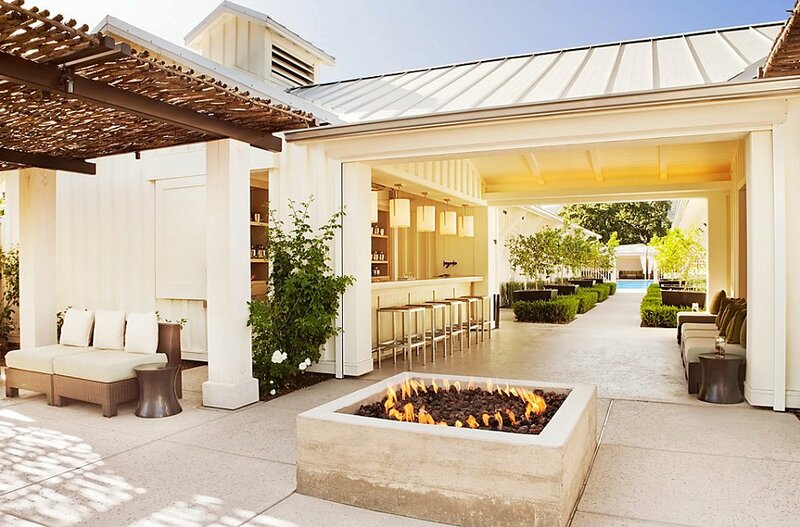 And the adjacent bistro-light strung courtyard complete with a firepit is the perfect place to set up cozy lounges for guests to kick back and converse. 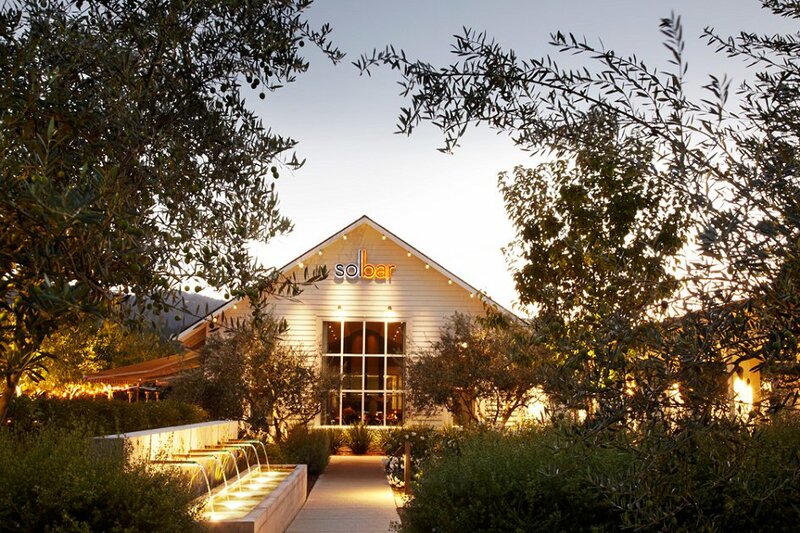 Foodies will love the on-site restaurant Solbar, where Chef Massimo Falsini creates culinary goodness from farm-fresh and seasonal ingredients, from delicate bites like the kanpachi with lemon verbena and rosehip tea to big savory dishes akaushi wagyu ribeye with truffle potato mille-feuille. 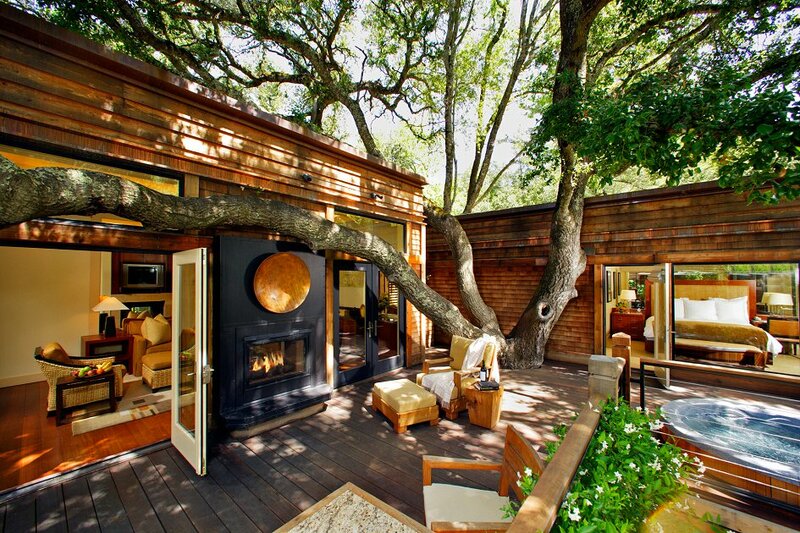 But one of the biggest draws is the Spa Solage and their signature Mudslide Napa Valley treatment. Perfect for bridal parties or bachelorette parties, the mud experience begins at the spa bar, where the therapists offer up an array of essential oils. After finding the scent that hits the spot, the therapist stirs up a gooey mud concoction. In a heated steam room, the mud is slathered on left to bake for around 20 minutes and rinsed off leaving skin detoxed, smooth and refreshed. 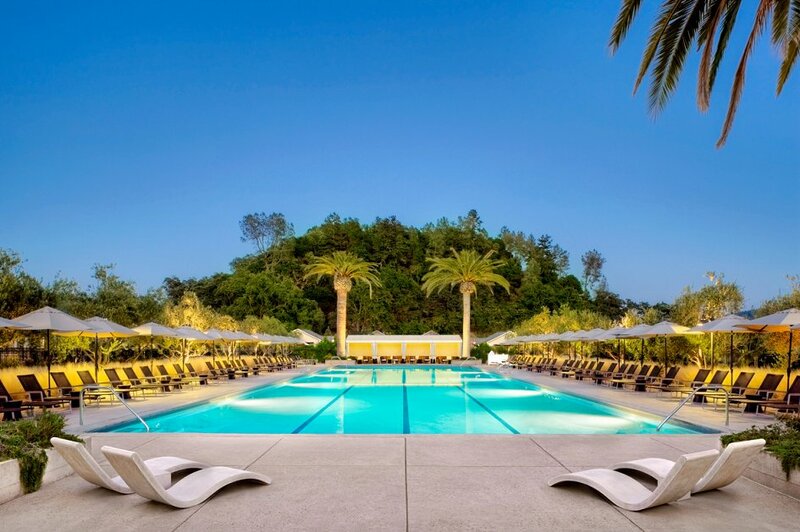 Afterward find your zen at one of the geothermal baths, including the male or female pools where clothing is optional. Check out this venue in action as Johanna and Arthur tied the knot with a brightly-hued Cantonese-fusion wedding. 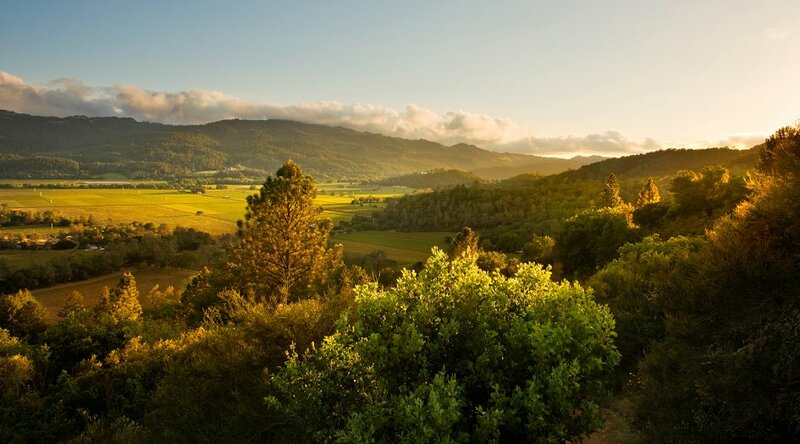 Couples that are eager to say "I do" in a bucolic setting need look no further than Calistoga Ranch. 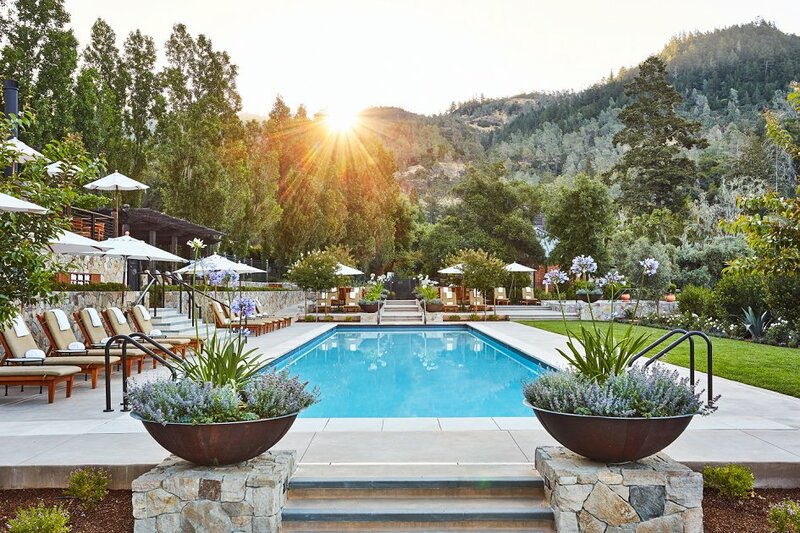 Tucked off the Silverado Trail and up a private, winding road, this luxurious resort tucked among ancient oaks in a sun-dappled canyon feels like a hidden secret. 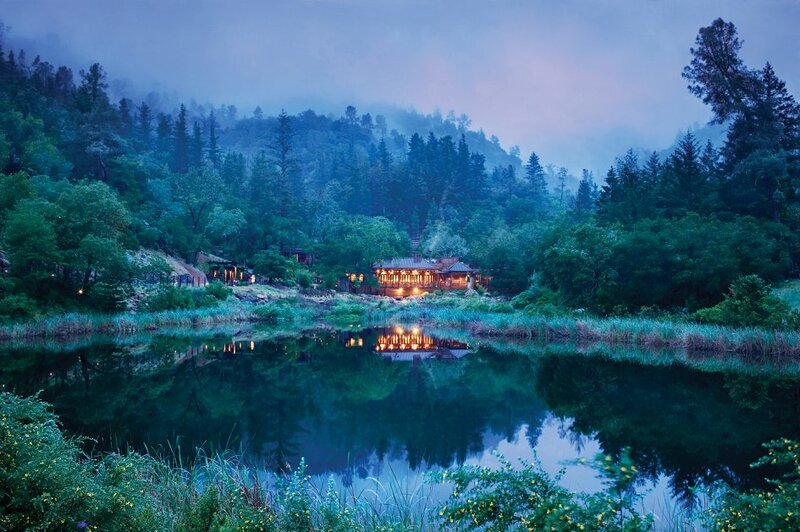 After checking in, guests are whisked via golf cart the rustic one and two-bedroom lodges that are scattered up a tree-lined path winding through the 150 acres. 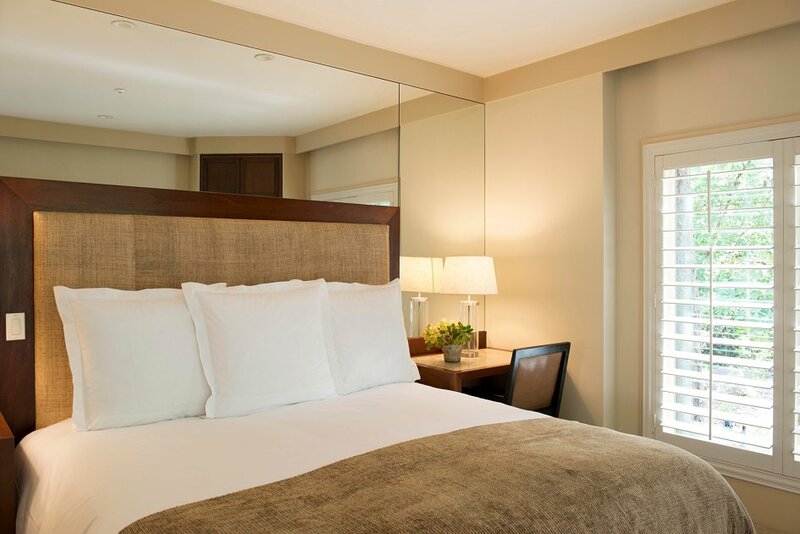 The lodges feel like a treehouse for discerning adults with spacious indoor-outdoor vibes (even down to the private outdoor patio located off each well-appointed bathroom). 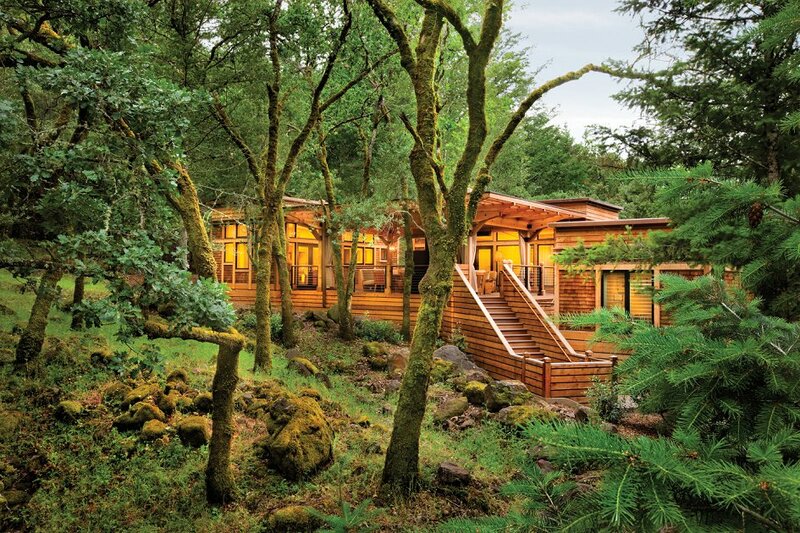 A patio boasting a hot tub connects the two separate sleeping and living spaces, creating a home away from home. The resort's private lake, Lake Lommel, is an idyllic place for nature lovers to say their vows or dine under the stars, with the option of retiring to the Wine Cave for an after-hours party atmosphere. 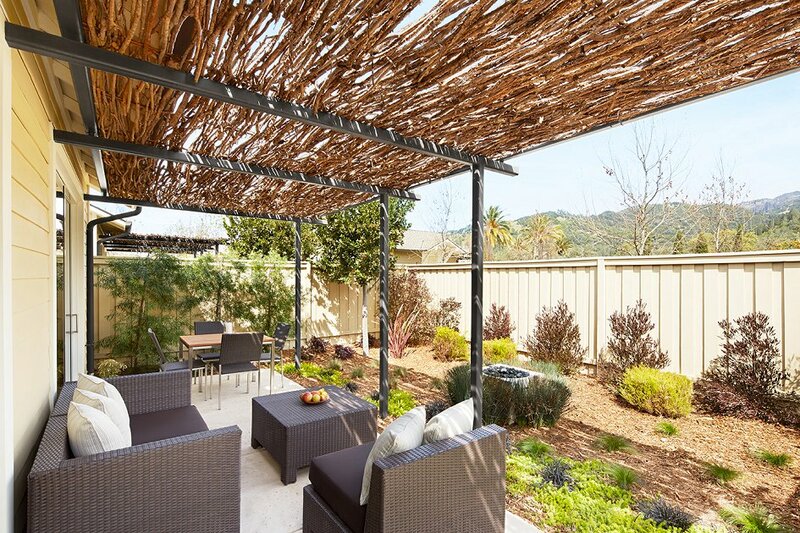 Those who are looking for a more traditional wine country vibe can opt for to the Vineyard with its tented space offering total privacy. 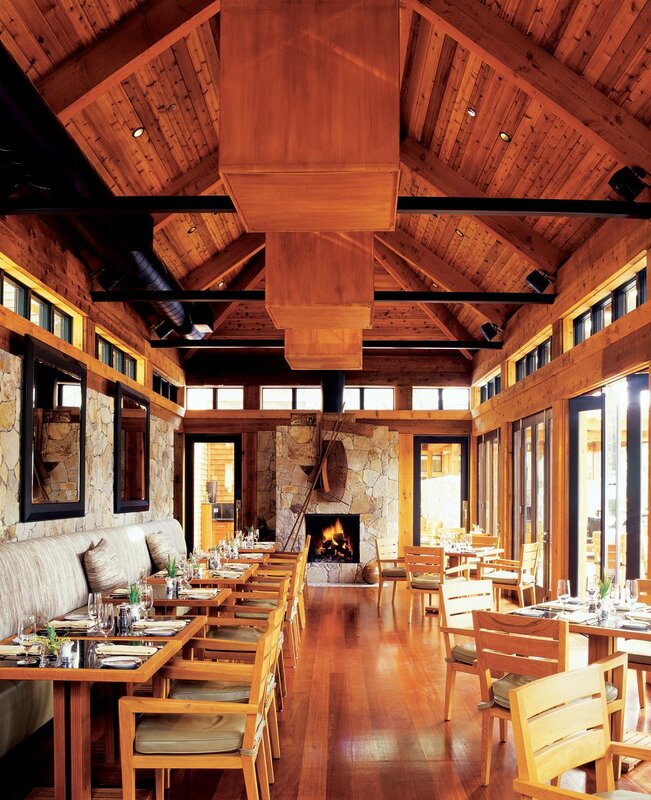 The Lakehouse restaurant is sure to exceed culinary expectations with a refined menu featuring local organic, seasonal ingredients. 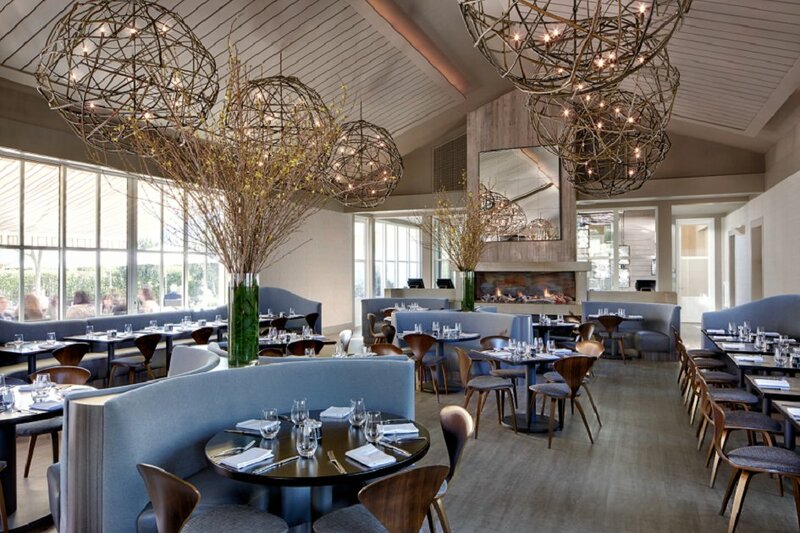 Opt for a wine-paired dinner that includes the charred octopus with sunchoke and blood orange glaze, the blackberry and hazelnut spiked foie gras and the piece de resistance, the chef's dry-aged steak (when available). The restaurant also serves up lunch and breakfast, the patio is a great option for a post-wedding brunch.